This entry was posted on September 14, 2011 at 9:02 am and is filed under Back to the Future, movies, podcast with tags Back to the Future, Nerd Lunch Podcast, podcasts, time travel, Time Travelogues. You can follow any responses to this entry through the RSS 2.0 feed. You can skip to the end and leave a response. Pinging is currently not allowed. 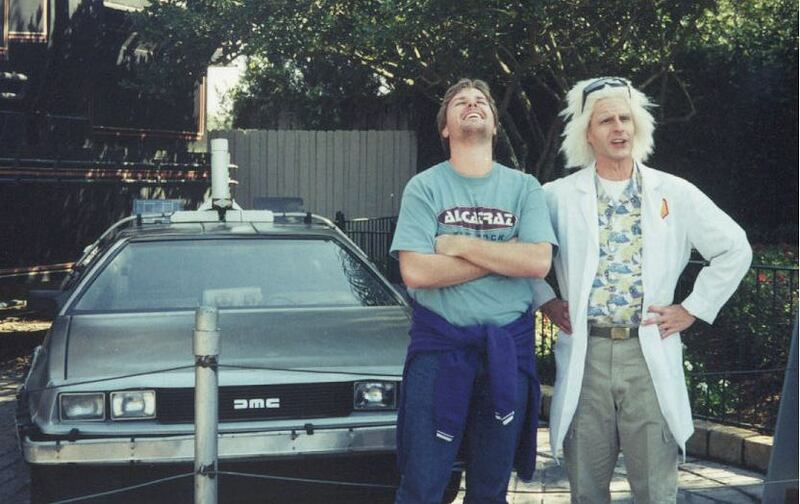 I’m impressed at the number of pictures you have of yourself with a Delorean. I dabble in Delorean/Pax photography. It’s a hobby.